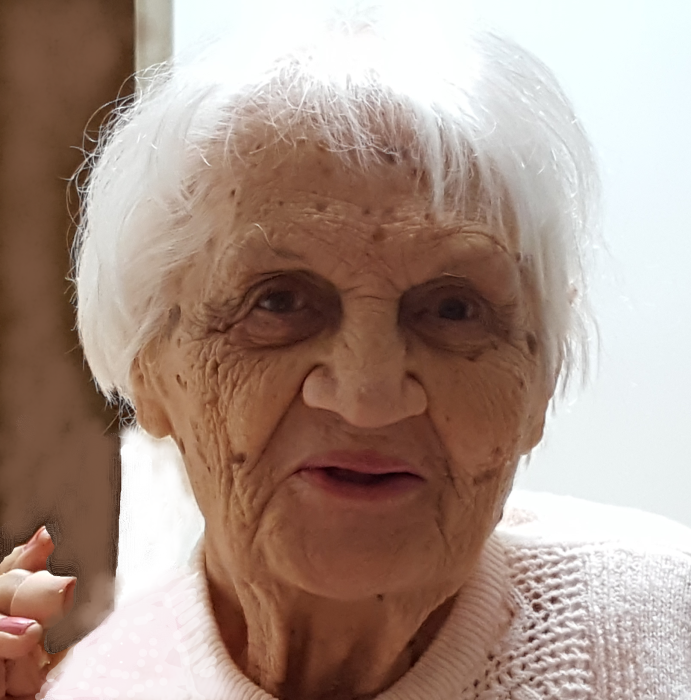 Angela F. Perricone, 98, passed away peacefully at her home in Piscataway on Thursday August 30, 2018. Born in Long Branch, NJ, she was the daughter of the late Lawrence and Rose Fornicola. Angela lived in Piscataway most of her life. She loved tending to her gardens. Her greatest joy came from providing a happy and loving home for her family and in later years that love extended to her grandchildren. To put it simply, she loved to make people happy. Angela will be deeply missed by all who knew and loved her. Besides her parents, Angela was predeceased by her loving husband Rosario in 2014. She is survived by her beloved sons; Robert Perricone and his wife Joan Perricone , Tom Perricone and his wife Jean Jablonowski. Also surviving are her cherished grandchildren: Rachel, Allison, Robbie and Melissa Southwell. Angela is also survived by her sister Rose Sauer. Friends may visit the family on Tuesday, September 4 from 6:00-9:00pm at the Sheenan Funeral Home, 233 Dunellen Ave in Dunellen. A funeral service will be held on Wednesday, September 5 at 10:00am at the funeral home. Burial will follow at Woodbine Cemetery, 148 Maple Ave in Oceanport, NJ.